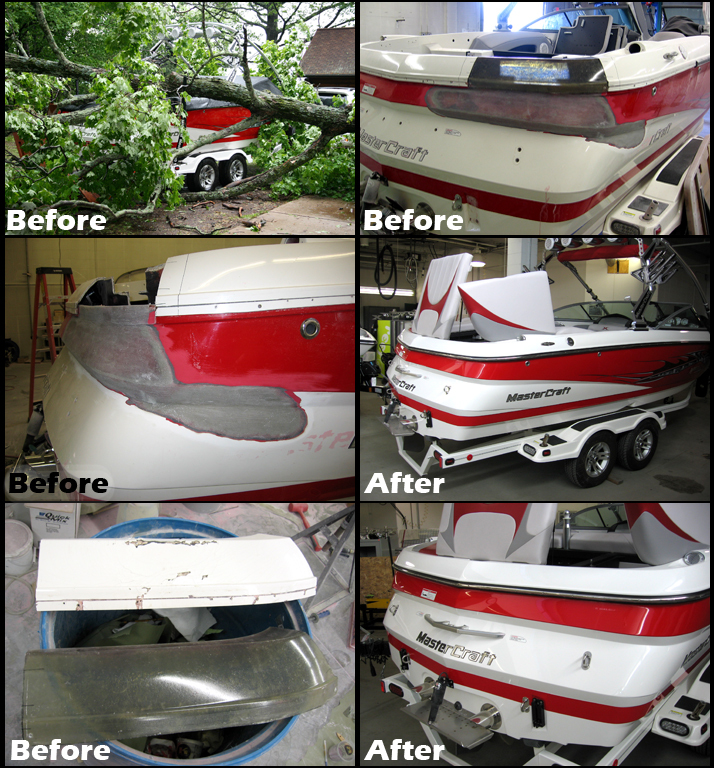 Midwest Water Sports offers complete fiberglass boat repair including gel coat, metal flake and structural damage. Our in house fiberglass and gel coat repair center offers complete solutions for everything from minor nicks to major damage. We are the area's only factory authorized body shop for MasterCraft, Supra, and Moomba Boats. We also offer repair services for most makes and models. From structural damage, to under water gear replacement and everything in between we have the resources to repair your boat quickly and correctly. Conveniently located just outside Minneapolis, MN Midwest Water Sports is your #1 source for fiberglass boat repairs. Offering complete repair, quick and accurate quotes and we'll even consider buying your damaged boat. Your total boating satisfaction is our ultimate goal.